St. George’s University’s Institutional Review Board (IRB) is registered with the Office of Human Research Protections (OHRP) in the US Department of Health and Human Services. All applications should be submitted at least 1 month before the proposed start date of the research project. US Common Rule (45 CFR 46 subpart A, B, C and D) are used as a guideline. IRB review and approval is a prerequisite to obtaining academic or scientific grants from most agencies, and to publication in most mainstream journals. It is also often required for presentation of research findings at conferences. After approval by the SGU IRB, protocols that involve staff, resources or facilities at Grenada’s Ministries of Health, Agriculture, Forestry and Fisheries, or Education are reviewed by the Research Oversight Committee (ROC). The ROC determines whether to allow clearance for the project to proceed. Its members include the Chief Medical, Veterinary, and/or Education Officer, the respective Permanent Secretary, and from SGU, the University Provost, the Director of Research, and the IRB Chair (and/or the IACUC Chair as appropriate). Applications for ROC consideration may be obtained through the SGU Office of Research at irb@sgu.edu or kcoomans@sgu.edu. All research findings must be reported to SGU’s Office of Research which distributes these to those who request the information and/or to the communities, Ministries, and others involved. Annual summary reports are also due to the IRB. The St. George’s University Institutional Review Board (SGU IRB) exists to assure that all human research proposed under the auspices of SGU or referred for our review is conducted according to the highest ethical standards. It is the vision of the St. George’s University Institutional Review Board (SGU IRB) that investigators are provided with thorough and timely review of their research proposals, and that human participants in research are assured that all research is conducted in a compassionate, ethical, and accountable manner. We envision the facilitation and support of research, and the education of investigators and participants in ethical research principles. SGU IRB members are required to complete the Collaborative Institutional Training Initiative (CITI) program, https://www.citiprogram.org/aboutus.asp?language=english. Members include scientists, physicians and health professionals, attorneys, clergy, and community representatives across a range of genders, ages, and cultures. At least half are Grenadian citizens and others are long time residents of Grenada. SGU IRB has an Executive Committee comprised of its officers. The Executive Committee conducts expedited review for protocols of low or minimal risk and engages in educational and administrative activities. Most protocols for review are received from MSc, MPH, and PhD students at SGU. Some are received from other sources including investigators based in North America and beyond. When warranted, Grenadian and other Caribbean experts are consulted about associated regional concerns. Checklists from the OHRP guide reviews address particular aspects of informed consent, harm to benefit ratio, etc. These checklists may be useful to investigators designing their protocols. All investigators, supervisors, and collaborators including those overseas are required to complete the Collaborative Institutional Training Initiative (CITI) program course and to submit the printable certificate of completion with their application for IRB review. The course takes a couple hours to complete and is valid for two years. Applications for review may be submitted any time. Those that meet the criteria for Expedited Review are processed upon receipt. The IRB Chair determines whether a protocol may receive Expedited Review or Exemption (see below). The IRB Administrator will advise whether or not an application has been accepted for Expedited Review. Applications which are not likely to meet the criteria for Expedited Review should be submitted at least two weeks prior to the meeting at which it would be reviewed. Meeting dates for full reviews are publicized in advance within SGU and occur in September, November, February and April. The application form is available and should be submitted by email to irb@sgu.edu and/or kcoomans@sgu.edu. Investigators may request that their protocol be exempted from review or receive expedited review. The IRB Chair determines whether such requests are granted. Exemptions are usually granted within 3-5 working days. Most protocols at SGU are eligible for Expedited Review, and investigators are informed of the outcome within 10 working days, often less. Between June and August this may take longer. When IRB approval is not granted, the IRB Administrator or Chair provides specific guidance to investigators about necessary modifications to their protocols. These derive from reviewers’ comments. Modifications are considered by the Chair upon receipt. Applications for review, consent form templates, SGU IRB Policy and Procedures Manual and IRB Handbook, Annual Reports, and other information may be obtained from the IRB Administrator, Mr. Kareem Coomansingh (kcoomans@sgu.edu or irb@sgu.edu), or telephone (473) 444-4175 ext. 3221. Some of these can be downloaded from the list provided below. SGU’s IRB has been registered with the Office of Human Research Protections in the U.S. Department of Health and Human Services since 2003. 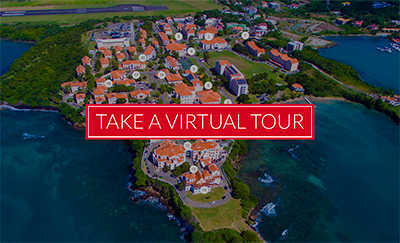 Prior to this the only IRB in Grenada was based in the Windward Islands Research and Education Foundation (WINDREF) on SGU’s campus in Grenada. SGU’s then Vice Chancellor, the late Dr. Keith B. Taylor, was a strong proponent for establishing WINDREF’s IRB and served as its initial Chair. Grenada’s former Governor General, the late Sir Paul Scoon, was also a strong proponent. He served as IRB Chair for many years and remains an Executive member. As stipulated by SGU IRB’s policies and procedures annual reports are published each year. Archived reports may be obtained upon request from the IRB Administrator. The most recent is available in WINDREF’s Annual Report.